Easter is coming up so soon and I honestly haven’t done much to plan for my son’s Easter basket! Last year the Easter bunny hide filled eggs around the living room for him to find, along with a few small things in his Easter basket. I don’t want Easter to be all about candy, though, so I am trying to think of plenty of non-candy options! That’s how I came up with my Easter bunny coupons! The coupons be for anything from going to the zoo, to getting frozen yogurt or any other experience big or small! 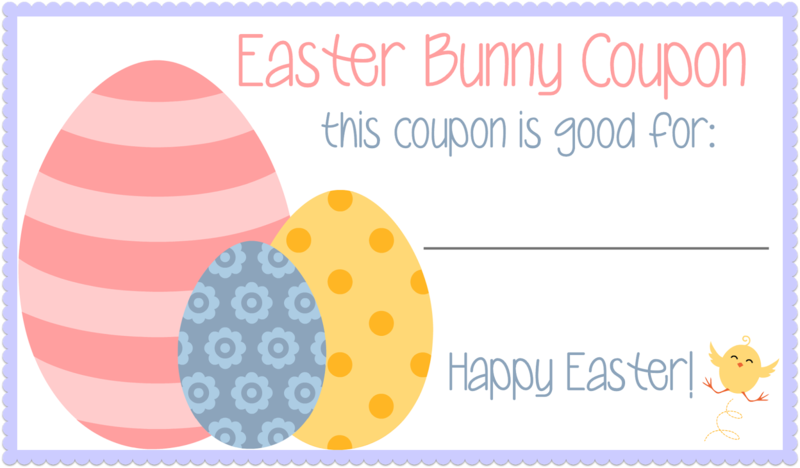 Some of the eggs will have a little bit of candy still, but I will also fill eggs with these coupons for fun things to do together! I am hoping to set a precedent for Easter that it’s not all about the candy and not to expect a huge big basket of “stuff” but rather a few things, a tiny bit of candy (my kid loves jelly beans!) and some fun experiences! 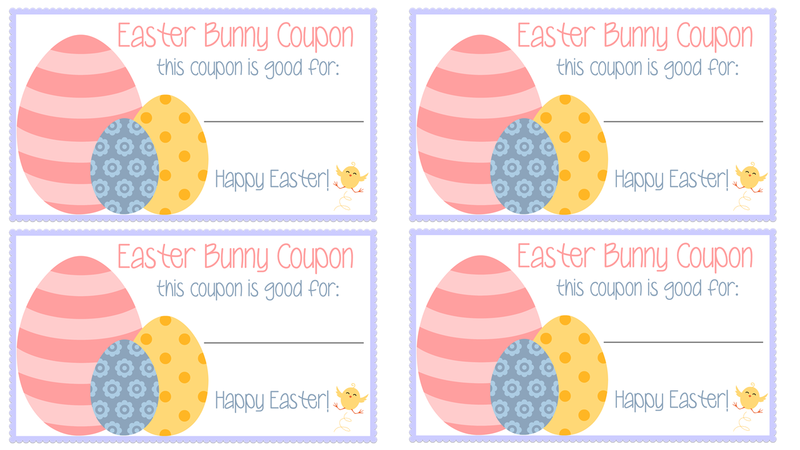 I made the coupons with a blank line so the Easter bunny can fill in whatever activities or treats he (she?) wants on those lines! I know many other parents are searching for non-candy options for their kid’s Easter baskets this year, so these coupons would be perfect if that’s you! Grab the free printable here as a pdf file! OH I love this idea! So going to put some of these in the kids eggs!! !